We suffered from the summer heat a few days ago. It was very muggy while this season's sixth typhoon named Ma-on was moving slowly along Japan's Pacific Ocean coastline. The temperature fell rapidly last night. We could sleep well after a long interval. It's very cool today. Most schools has broken for the summer vacation. 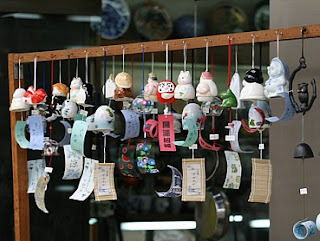 Today is the day of the ox(丑の日) during the period called Doyo(土用). The last 18 days of each season are referred to as Doyo. People eat grilled eel on the day of the ox in mid-summer to recover from fatigue. In Kanto Region, filleted eels are char-grilled after being steamed. In Kansai Region, filleted eels are only char-grilled. There is a style of eating eels called Hitsumabushi in Nagoya. The price of the Japanese eel has been rising sharply. Their young larvae are caught and raised in eel farms. 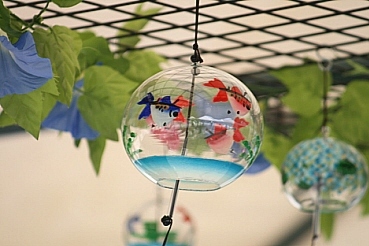 A poor catch of them has increased its price. Populations of the Japanese eel have declined drastically in recent years. Little was known of the mode of life of the Japanese eel. Spawning grounds and eggs of the Japanese eel have been recently discovered around the Mariana Trench. In 2010, Fisheries Research Agency has succeeded in artificially hatching the eggs that artificially hatched eel laid. It opened the way for fully cultured eel. Basket clams(freshwater clam) are in season in summer and winter. 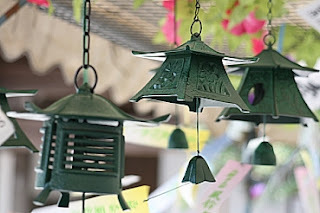 They are called Doyo-shijimi(土用蜆) in summer. We often make basket cram miso soup. A wind-bells bazaar is being held at Kawasaki Daishi(川崎大師), whose formal name is Heikenji Temple(平間寺), from July 17th to the 21st. 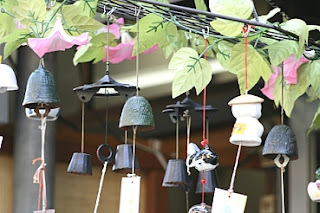 wind-bells of Nanbu ironware(南部鉄器, Nanbu-tekki) which is made in Morioka City in Iwate Prefecture.